Cardinal Luis Antonio Tagle has been called "the Asian Pope Francis," because of his humility, his connectedness to the lives of everyday Catholics, and his insistence on the church's duty to care for the poor and the marginalized. 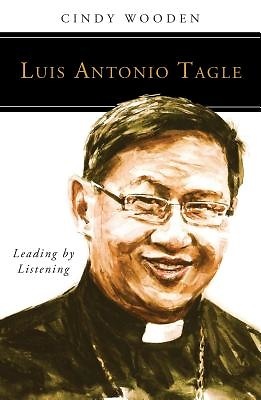 In Luis Antonio Tagle: Leading by Listening, veteran Catholic journalist Cindy Wooden offers a poignant look at this archbishop of Manila who has impressed Catholics around the world. At the world Synod of Bishops on Evangelization in 2012, he told his fellow bishops, "The church must discover the power of silence. Confronted with the sorrows, doubts and uncertainties of people she cannot pretend to give easy solutions. In Jesus, silence becomes the way of attentive listening, compassion and prayer. It is the way to truth." While not afraid to speak the truth to power, Cardinal Tagle also is not afraid to listen to the poor, the confused and the searching.Wooden shares much insight into this man of deep faith and compassion, a pastor driven both to bring Christ to the people and to listen to the people in whom Christ lives and through whom he speaks.